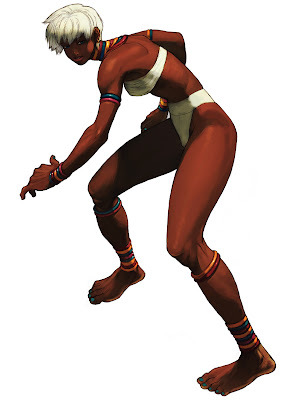 As far as I know, Elena is the only black female combatant in the Street Fighters. That a lone makes her worthy of attention. But she is also good fighter too., i like the way she is animated so smoothly. Her fighting style is very much like gymnastics. I have found only one version of her for Mugen.